Hurricane insurance in Florida is a top priority for both home and business owners, as well it should be. Hurricanes can destroy your home or commercial property, making it uninhabitable and wreaking havoc on your day-to-day life. Standard homeowners insurance and commercial property insurance policies don’t cover flood damages, but some do cover hurricane winds. You will need to check your current policy to determine what, if any, hurricane coverages are provided. Even in instances where your policy does cover damage from hurricane-force winds, there is typically a separate deductible. This deductible is oftentimes 3-5% of the total damage costs, which can get up to the tens and hundreds of thousands of dollars, depending on the damage done. At Five Brothers Insurance, we can review your current homeowners or commercial property policies to determine gaps in coverage, deductible amounts and more to help you determine if purchasing flood or hurricane insurance is necessary to protect you and your investments. Flood Insurance: To protect your home and property from flooding, a separate flood insurance policy must be purchased. There are different types of policy options available, so be sure to choose a plan that meets your coverage needs. 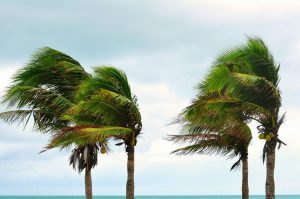 Windstorm Insurance: While some homeowners policies provide partial protections, not all do, and most won’t cover the full damage done by hurricane-force winds. If your policy doesn’t provide wind coverage or you’d like to ensure you are more protected, a windstorm insurance policy is an excellent option. For more information regarding hurricane insurance coverage or to request quotes for hurricane insurance in Florida, contact the insurance agents at Five Brothers Insurance today. We are insurance experts and regularly serve those in Tampa, Clearwater, St. Petersburg, Orlando, Altamonte Springs and throughout Florida, and we look forward to serving you!